Air Force security failed a takeover drill at a nuclear silo in Montana last summer. There are always concerns about the safety and maintenance of nuclear missiles, but unless you work at one, it’s kind of hard to evaluate what’s going on in those silos. 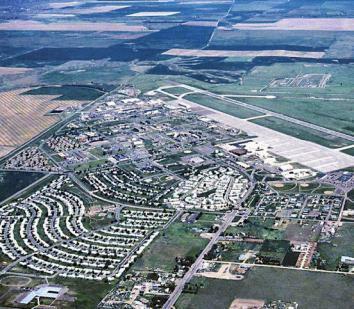 Last summer the 341st Missile Wing at Malmstrom Air Force Base in Montana publicly acknowledged that it had failed a hostile takeover drill. But only now, through a Freedom of Information Act request filed by the Associated Press, is there more information about the incident, which the Air Force called a “critical deficiency.” Good to know, right? [The documents] said insufficient training was at the heart of the problem, beginning with a lack of familiarity among the security forces with “complex scenario” exercises. It also cited unspecified shortcomings in “leadership culture” and a lack of standardized simulations not only at Malmstrom but throughout the nuclear missile corps. The commander of the 341st Missile Wing at the time of the failed exercise, Col. Robert Stanley, fired the officer in charge of security. But Stanley himself was later forced to resign amid a scandal related to hundreds of missile officers cheating on exams, as 60 Minutes recently chronicled. Stanley maintained, though, that his officers had failed the drill by only a few seconds and that it was presented in a different way than usual. The AP also points out that at least two launch officers from the 341st Missile Wing are currently being investigated for alleged illegal drug use/possession. Even with the documents from its FOIA in hand, spokespeople for Air Force Global Strike Command still wouldn’t comment to the AP. But the documents do show that when the drill was repeated in October 2013, it was completed successfully. That’s reassuring, I suppose?